They came from Port Lincoln, they came from Oodnadatta, they came from Alice Springs. They emerged from the red dust of Innamincka, a town no more than a pub and a fuel pump, population 12. And they did it each year, and it became tradition. It was Test match cricket. It happened around Australia Day, January 26. You beauty. 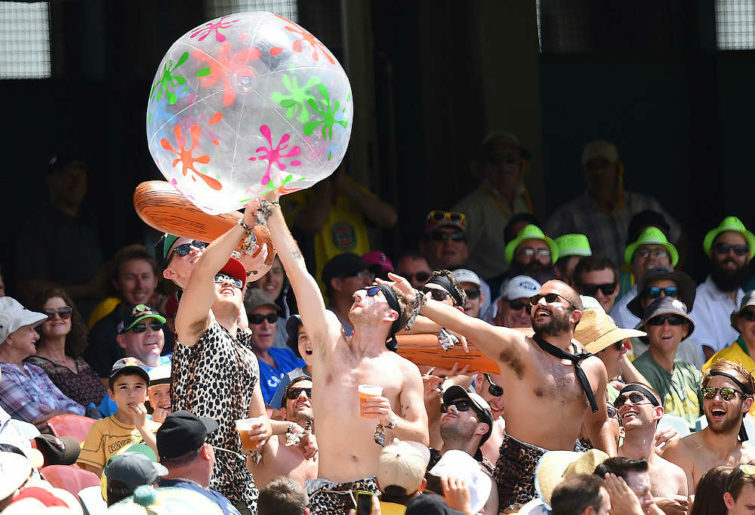 The old Australia Day Tests were held in Adelaide, so for now we’ll talk of that city and its brilliant recent tradition – the pink ball, day-night Test match. For long may it be. The ground, the surrounds, the city, the brilliant marquees in the Members out the back – magnificent stuff. Adelaide’s pink Test has moved from cricket match to event, so much so that Brisbane’s getting in on the act now. 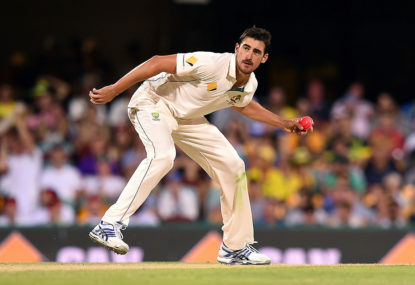 Normally held early December, this year the day-night Test kicks off on January 24, when Australia fronts Sri Lanka. Day 1 will be a Thursday which means Day 3 will be Saturday and Australia Day. If it lasts five days, the Monday will be a public holiday. And as we said, they will come from everywhere. The first Test match played at Adelaide on January 26 was in 1953 when Jack Cheetham’s South Africans took on Lindsay Hassett’s Aussies. 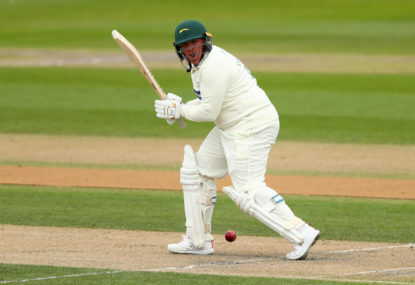 Hassett won the toss and batted and by the end of Day 3 (Day 2 was a rest day – the Sabbath, you understand), Australia were all out for 530, with Colin McDonald (154) and Hassett (163) sharing a second-wicket stand of 275. South Africa replied with 387. 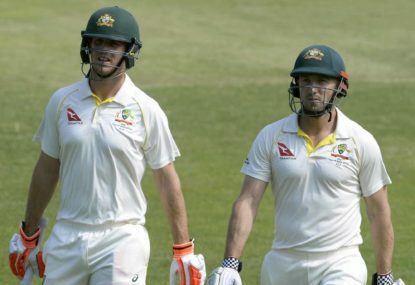 Australia belted 3/233 and declared. Dogged South Africa hung on for a draw, six wickets down. Ten years later came another entertaining draw when England captain Ted Dexter called upon such names as Fred Trueman, Ken Barrington, Ray Illingworth, Fred Titmus, Colin Cowdrey and Tom Graveney. They were a powerful XI, among England’s greatest. Yet Australia were strong, too. The top three was Bill Lawry, Bob Simpson and Neil Harvey. Norm O’Neill batted five, Alan Davidson at six. Captain and all-rounder Richie Benaud came in at nine ahead of Garth Mackenzie and ‘keeper Wally Grout. And across five days (and a rest day) Harvey made 154 and O’Neill 100 before Barrington (132*) and Graveney (36*) maintained hard-fought status quo. In 1969 came Garfield Sobers’ popular West Indians, and Adelaide saw a magnificent match (albeit, yes, another draw). Sobers won the toss, batted and scored 110 out of his team’s 276. Doug Walters matched Sobers’ 110 while Lawry (62), Keith Stackpole (62) and Ian Chappell (76) made contributions to Australia’s 533. The Windies fought back. They smashed 616 from 137 eight-ball overs and set Australia 359 to win. Chappell made 96, Lawry 89 and Stackpole 50 and Australia looked good. And then calamity. Ian Redpath was run out. Walters was run out. Eric Freeman was run out. And Barry Jarman was run out. 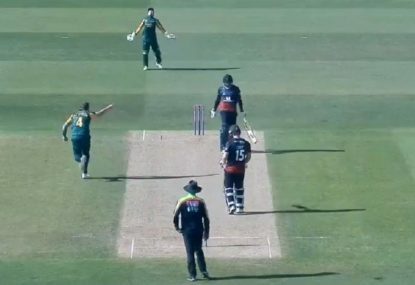 Four run outs! What’s doing? The Windies attacked through Sobers, Charlie Griffiths and Lance Gibbs. Further wickets fell. But Australia held on, nine down, 20 runs shy. By 1976 a very different Australia faced a very different West Indies. Greg Chappell captained the home team, Clive Lloyd the visitors. 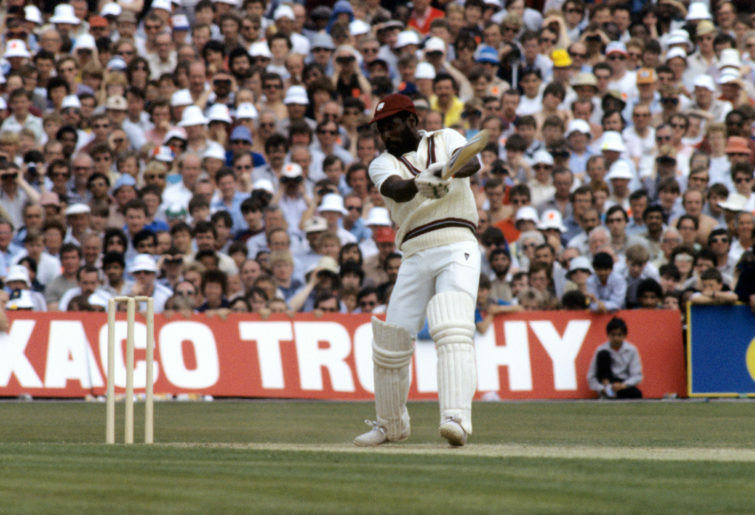 The Windies trotted out a brilliant young batsman called Viv Richards, while Australia’s attack that had so terrorised England in the previous summer was again led by Dennis Lillee and Jeff Thomson. Chappell won the toss and (of course) batted, with Ian Redpath’s 103 and Gary Gilmour’s 94-ball 95 the standouts in Australia’s 418. 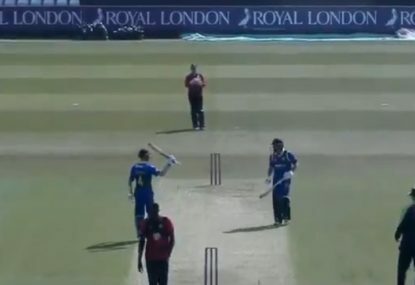 The Windies replied by throwing the bat, amassing 274 at 4.86, highlighted by Keith Boyce’s 95. Australia declared 7/345 (Alan Turner 136) and eventually rolled the Windies for 299 (Richards 101) to win by 190. Australia would win the six-Test series 5-1. And Lloyd saw the future. Four years later at Adelaide on January 26, the Windies bowling attack was Andy Roberts, Michael Holding, Joel Garner and Colin Croft. The openers were Gordon Greenidge and Desmond Haynes. Richards batted three, Lloyd batted six. And the Windies won by 408 runs and the three-Test series two-nil. They would rule cricket for 15 years. In 1991 Mark Waugh debuted for Australia (in place of twin brother Steve) and made 138 against England in Adelaide. Four years later, local boy Greg Blewett debuted for Australia and made 102 not out against England. In 1992 Australia were rolled for 145 against India yet won by 38 runs. In 1993 there was a famous Adelaide Test match in which Craig McDermott was caught behind off the bowling of Courtney Walsh with two runs to win. The series was drawn at one apiece. A week later in Perth, Curtley Ambrose took 7/1, and Allan Border’s dreams were rent asunder. 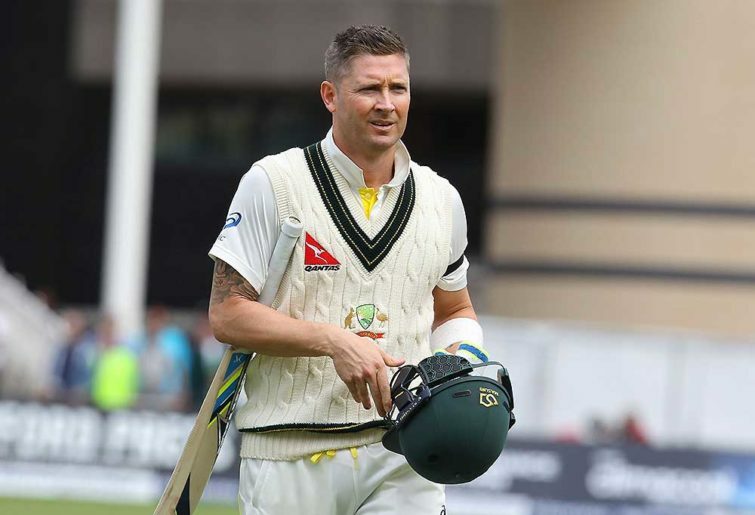 The last Australia Day Test match at Adelaide was in 2012 when Australia declared seven down for 604 with Ricky Ponting (221) and Michael Clarke (201) amassing a 386-run fourth wicket stand. Despite young Virat Kohli’s 116, India were beaten by 298 runs. Seven years later and we head instead to Brisbane for an Australia Day Test match, with beleaguered Australia looking to re-assert themselves after losing to India. Reputations have taken a dent, careers are on the line. Selectors – as ever in vexed times – will be under great pressure to produce a successful XI. The top six is a lottery. Marcus Harris has looked good, Travis Head has looked good, Marnus Labuschagne has looked good. Usman Khawaja always looks good. But changes are afoot in the batting order. 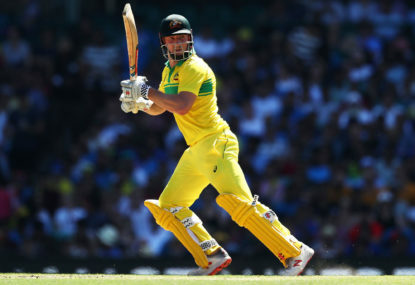 The home side’s once-venerated pace attack has also been stung by criticism from the likes of Shane Warne, Michael Vaughan and Mitchell Johnson. And one would assume Sri Lanka’s batsmen – led by captain Dinesh Chandimal, 3744 Test runs at 43 – will know the wrath of pacemen spurned. Sri Lanka are ranked eighth in Test rankings, Australia sixth. So the Test match should, as ever, be entertaining. And they’ll come from everywhere to see it. You can watch this year’s much-anticipated day-night Australia Day Test between Australia and Sri Lanka at the Gabba in the best way possible with Kayo. Sign up now.